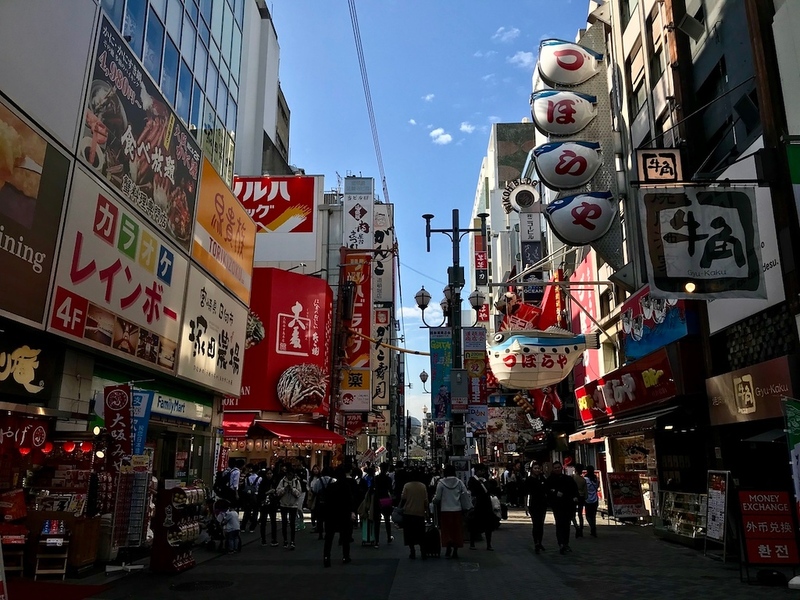 For colours, crowds, and consumerism, you can’t beat Dotombori, Osaka’s most popular shopping, entertainment, nightlife, and culinary destination. If you’re visiting the city, you shouldn’t miss this place. 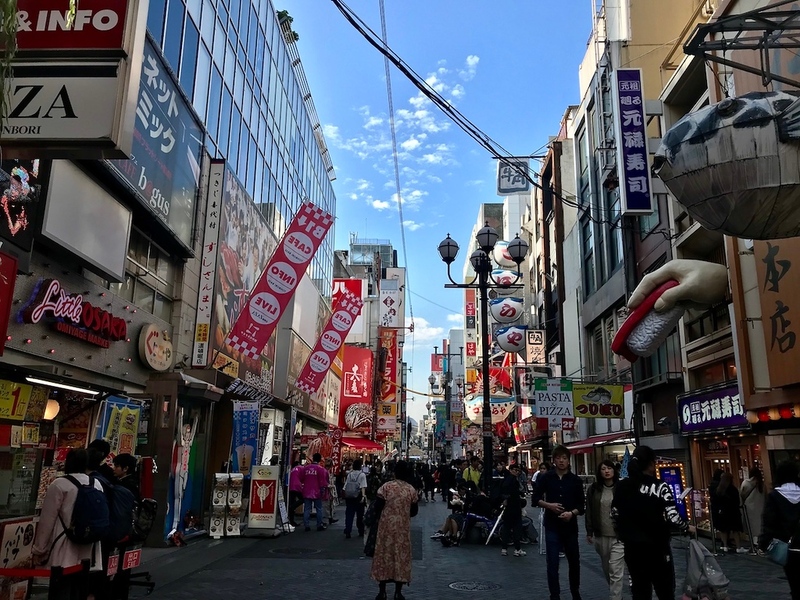 Named for the Dotombori Canal that runs through the middle of it, Dotombori is the colorful and crowded entertainment district located mostly on the east side of Midosuji. 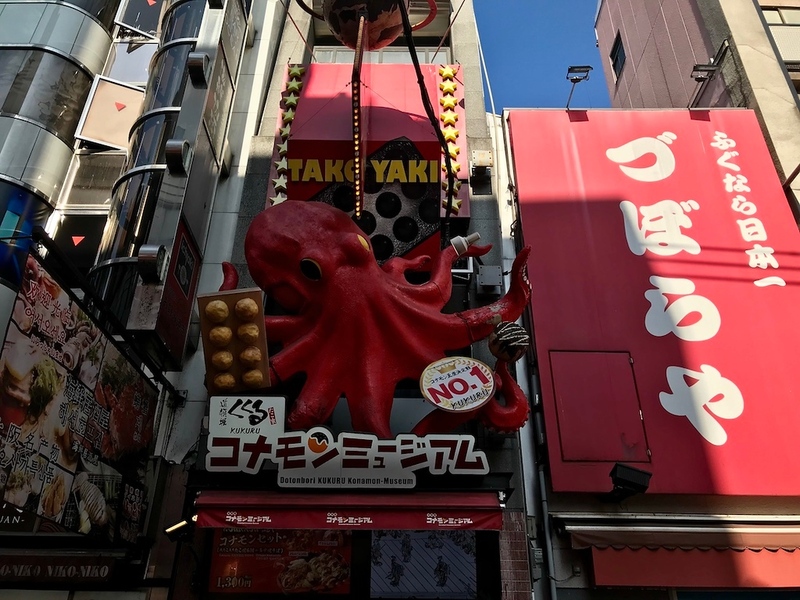 The Dotombori Arcade runs parallel to the canal on the south side and it’s lined with some of Osaka’s most famous and largest restaurants, which compete for business with huge signs and giant mechanical crabs. 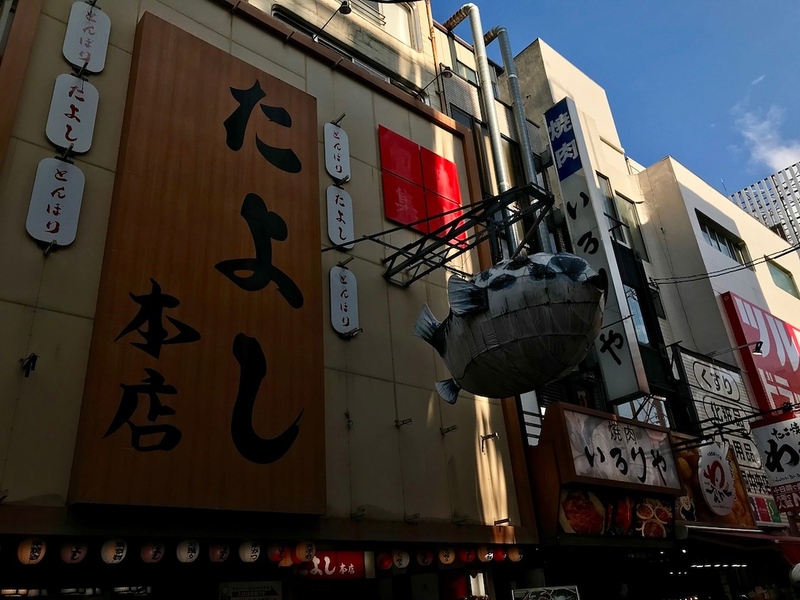 This is a popular area for Japanese and non-Japanese tourists alike to do a food crawl. A great place to check out the action is the Ebisu-bashi Bridge, which crosses the canal a bit east of Midosuji. Nearby, you’ll see many tourists posing in front of the iconic Glico Running Man sign. These days, you’ll hear far less Japanese than English, Korean, or Chinese when walking around Dotombori Arcade. This is testament to the influx of tourists from the Asian mainland and beyond to Osaka - it’s always bustling with people looking to eat or shop. Even if it’s not your cup of tea, it’s worth a short visit to get a feel for the area before moving on elsewhere. Donki Hote has a giant outpost here that’s perfect for souvenir shopping; and there are permanent queues in front of Ichiran (for ramen) and the takoyaki stalls scattered around the area. Many of the restaurants and bars north of the river cater mostly to Japanese businessmen, but there are plenty of foreigner-friendly places scattered about. 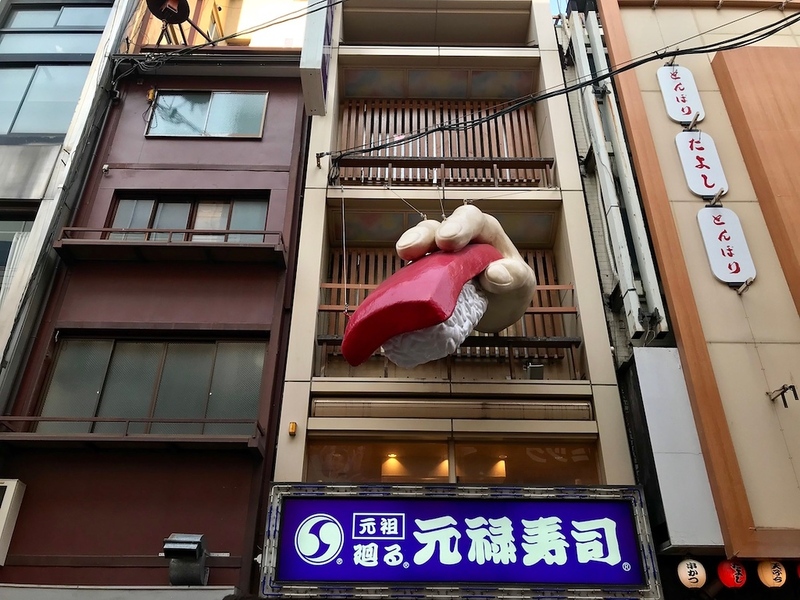 :: Check availability and pricing for hotels near Dotombori on Booking.com or Agoda.com. Dotombori is located in Osaka's Minami district. 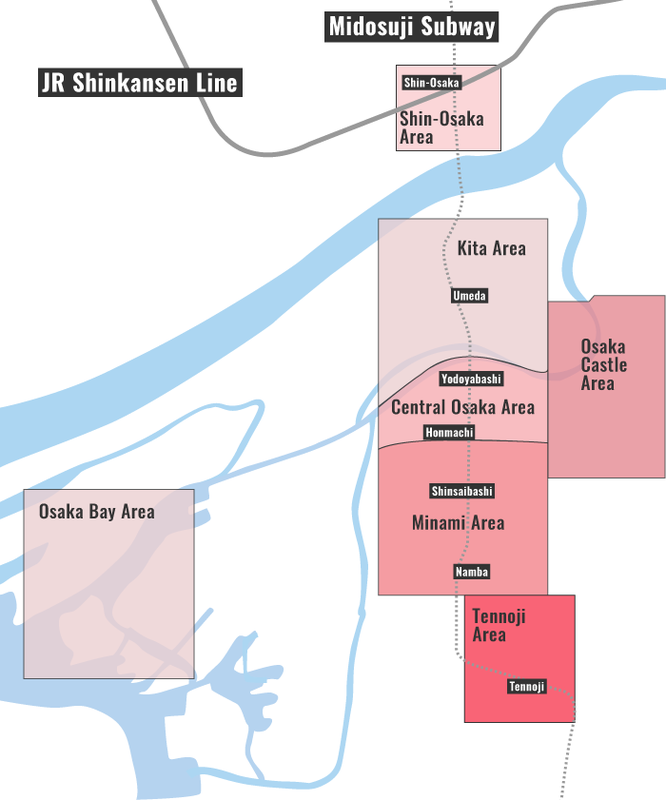 See our complete list of things to do in the Minami district, including places to eat, nightlife and places to stay.